A bitesize taster of the techniques taught at drama school and typically employed within the profession. This workshop begins with vocal warm ups which release the breath, work the articulators and engage the centre. It then touches upon the more traditional, Stanislavskian techniques using scene studies in which students explore the effect of changing the objectives, obstacles and given circumstances of a piece of dialogue. Whole group exercises build on this and teach how one character’s objective can sometimes be thwarted by another’s! We then move to less mainstream practitioners, using Meisner to unlock the students’ sensitivity to one another as actors and Laban to build character. For example, the Laban efforts are explored in depth so that, when each effort (dab, wring etc) becomes physically embodied by the students, they can see a very direct application in creating character. Is this person light and sustained? Are they heavy and sudden? We then end with tips and trick for auditions, how to prepare a script and a Q and A on life out there in the professional world! Please see my homepage for what I am up to currently. However, pertinent to this particular workshop, is the fact that I learned Laban under the tutelage of Vanessa Ewan, who wrote ‘Actor Movement: Expression of the Physical Being’. Along with Debbie Green, Vanessa revolutionised the way movement is explored in drama schools and she now works both on the West End and with high profile movie stars alike (ever wondered why Andrew Garfield made such a convincing spider?). Similarly, I studied Meisner technique with Nick Moseley, who wrote the book on Meisner (quite literally! see his guide entitled ‘Meisner in Practice’). Learning to be responsive and alive within the moment is so important for an actor and what better way to do that than through improvisation! With exercises which cover both the funny and the serious, I teach students the techniques they need to master the art of improv. 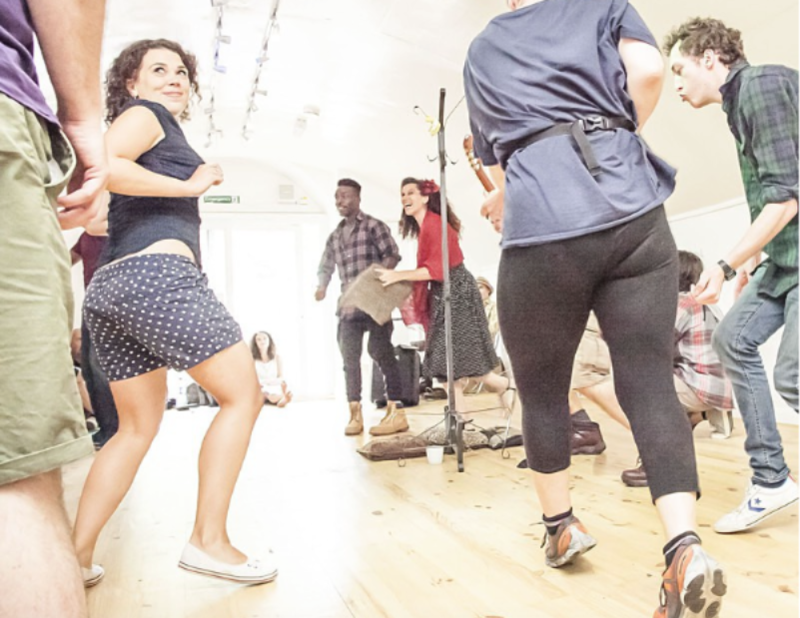 Thinking on your feet is essential in the world of acting and this workshop therefore provides invaluable tools for IMPROVing your craft and loosening up onstage! This workshop also teaches students to be open to new ideas, to always say yes, and to listen to their fellow actors. Improv is for life, not just for comedy!